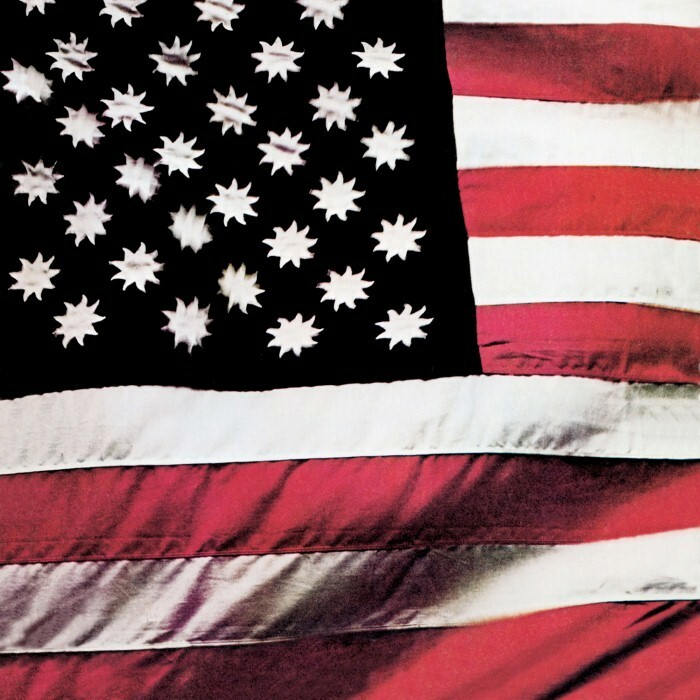 There's a Riot Goin' On is the fifth studio album by American funk and soul band Sly and the Family Stone, released November 20, 1971 on Epic Records. Recording sessions for the album took place primarily throughout 1970 to 1971 at Record Plant Studios in Sausalito, California. In contrast to their previous studio work with psychedelic soul, as featured on Stand! (1969), There's a Riot Goin' On embraces a darker, more foreboding funk sound, while also rejecting the band's successful melodic formula that was featured on their previous hit singles. The original title of the album was intended to be Africa Talks to You, but was retitled There's a Riot Goin' On in response to Marvin Gaye's landmark album What's Going On (1971), which was released five months prior to Riot. There's a Riot Goin' On debuted at number-one on the Billboard Pop Albums and Soul Albums charts upon its release, while the album's lead single, "Family Affair" (1971), topped the Pop Singles chart. On November 8, 1972, There's a Riot Goin' On was certified gold by the Recording Industry Association of America, for shipments of 500,000 copies in the US. It went on to ship 1 million copies, earning a platinum certification by the RIAA on September 7, 2001. After an ambivalent reaction upon its release, the album's critical standing has improved significantly, leading to its praise as one of the greatest and most influential recordings of all time. There's a Riot Goin' On has also been ranked at or near the top of many publications' "best album" lists in disparate genres. In 2003, the album was ranked number 99 on Rolling Stone magazine's list of the 500 greatest albums of all time. This is one of my choices. I felt a bit morto choosing something that's such a Mojo and Rolling Stone approved classic but it is, in fairness, pretty fuppin amazing. Can throw it on repeat for a few hours. All the stories about it being made are amazing/grim as hell. I do feel one needs to do a bit of research into the time to fully "get" why its so good, the context (both in the band history and pop music of the time) helps even though the music still stands up on its own regardless. Anyone who doesn't like Spaced Cowboy can leave the thread now. Nice, new to me so looking forward to it. There's some folk who pointed out the Sly reference in the new Avalanches lp cover. That's ok by me. This is a hyped up mojo endorsed classic? Baffling. I'm not getting it at all, but maybe my headphones aren't up to the job. The mix is all over the place, nothing is clear , nothing stands out. I'll have my work cut out trying to make sense of this mess before next Thursday. I quite like a musical mess so maybe I will like it.
. The mix is all over the place, nothing is clear , nothing stands out. . It's unique selling point is possibly as you described it. I always felt the same as you about it, and still do really. But someone told me once that, for them, the muggy sound and absence of clarity was what made it different and better to a lot of other records. That listening to it made the listener actually feel stoned. Possibly nonsense, but I kind of get what they were saying. Yeah, makes sense. I want to give it a good blast on the speakers and see what happens. Finally getting around to it now. It sounds familiar. I think I listened to this a time or 2 before. It sounds great IMO. Perfect listening for this sunny weather. This is tremendous. It did sound a little bit messy at first but when you start getting your head around it, its great. It felt like the early part of the album dragged a bit on early listens but it doesn't feel remotely like that, to me anyway, now. Its got funk and its got soul. I love that deep-voice singing. Almost Barry White-esque in parts (Family Affair). The female vocal on 'Africa Talks to You' is amazing. I want this on vinyls, and I want to play it LOUD (though it could do with being a minute or 2 shorter). How many different vocalists are there btw? (@Lili Marlene). Seems at least 3 different lead vocalists across the album. Whoever is singing on 'Brave and Strong' reminds me a bit of Van Morrison (not the screamy bits, obviously). Nearly every (if not every) song stands up by itself, but I think it helps a lot that the album is punctuated by BIG tunes. The likes of Family Affair and Runnin Away (I could envisage Tiranniesaur singing this btw) are very radio-friendly and I think would agree with almost anyone. In summary. It feels a bit disjointed at first. It never feels trying though, because of the presence of the (initially) catchier tunes. After a few listens the other tunes start to make their personalities felt. So, is this their best work? What would one recommend listening to next? Thursday again already?! I've only listened twice. I dunno, I'll have to have another listen at the weekend but basically under the hood it's all funk jams and funk isn't really my thing. The jury is still out. Yeah i couldn't get into this at all. the Black Panther Party, with which Stone had become associated, was demanding he make his music more militant and reflective of the black power movement, that he replace Greg Errico and Jerry Martini with black instrumentalists, and replace manager David Kapralik. After moving to Los Angeles, California in late 1969 Stone and his bandmates began to use cocaine and PCP heavily rather than recording music. Haven't managed to get to it either; I'm not so keen on funk/soul stuff tbh. On my second listen of this and enjoying it a lot more than the first one. Listening on headphones now and it opens up the sound so much more than on a speaker. I love how dense it feels, I've a feeling I might be buying this one.